We all know time is valuable. It is priceless. We spend 1-2 hours getting ready and I can say that once in a while we will be running late and chasing our schedule. Hence, timekeeping is very important to look fabulous. Some may disagree, but watches have always been my number one must have fashion accessory. What other way to look good than to look good on time? Ladies, fashionably late is not a statement. The best way to grab a guy’s heart is NOT to make him wait an hour for you. 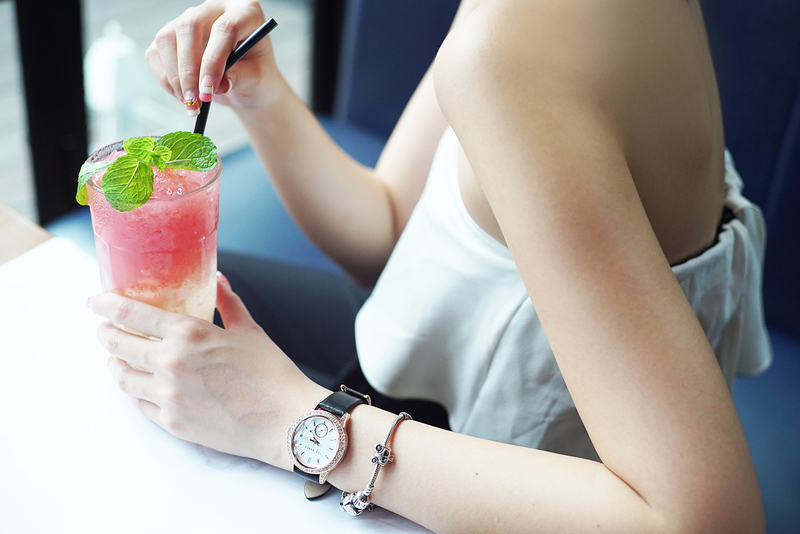 With the right style, watches can be both fashionable and practical. Don’t be scared to have some fun and explore different colours. I personally love some touch of gold, such as the Ted Baker Watch that I am wearing now. It accommodates well with my feminine look. Also, a black strap goes well for day-to-day look. Judge it for yourself, but watches are so versatile. They can help to make your outfit a bit more casual or sophisticated. They add that extra beauty to an outfit. Most important of all, they help you manage your time. Remember, managing your time is a beauty on its own.